Βαθμολογήθηκε από επισκέπτες, μετά από τη διαμονή τους στο Te Manava Luxury Villas & Spa. The villas are exceptionally clean - beautiful! Nothing has been forgotten. It was great for my family lots of space. And comfortable. We enjoy everything about it! Really liked the space for our tall family of six and having the privacy without the noise of roosters and dogs. The hosts were great. The 3bdrm villa was very spacious and having the added benefit of our own pool when we didn’t want to go the beach was great. The fact also that we could use the Pacific Resort facilities were also fantastic. We took the opportunity to get a ride from Te Manava to Pacific resort and then use their kayaks, snorkelling gear, kids club and also had the ability to charge food and drinks backs to our Villa. Alternatively, when we wanted to cook our own dinner, the kitchen was fully equipped and the bbq area was very clean. It was so easy. The villa was outstanding in a beautiful location. The mangers were warm and welcoming and took the time to make you feel at home. This is an exceptional place to stay and we will definitely be back. Εξασφαλίστε μια εκπληκτική τιμή στο Te Manava Luxury Villas & Spa - με βαθμολογία 9,3 από πρόσφατους επισκέπτες. Κορυφαία επιλογή σε Ραροτόνγκα.Overlooking the beautiful Muri Lagoon, Te Manava Luxury Villas & Spa offer 5-star accommodation with a private pool and patio. Guests enjoy free use of kayaks, snorkelling gear, beach towels and sun loungers. Each self-contained villa has a private patio with garden or sea views. There is a fully equipped kitchen, a BBQ and in-house movie channels. Wi-Fi is available and charges apply. The Te Manava Spa offers relaxing therapies including massages and pedicures. There is free pick/up drop off to Pacific Resort Rarotonga. A grocery delivery service is also available at an additional cost. 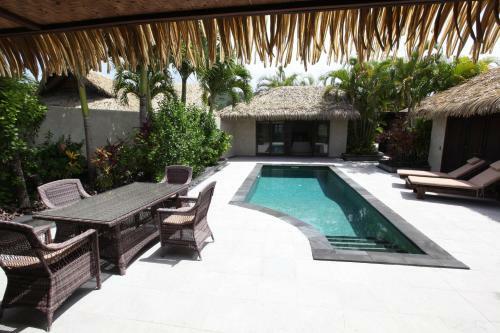 Te Manava 5-star Villas & Spa is 15 minutes’ walk from Te Vara Nui village. Rarotonga town centre is 20 minutes’ drive and Rarotonga International Airport is a 20-minute drive away. Το Te Manava Luxury Villas & Spa υποδέχεται επισκέπτες της Booking.com από 20 Ιουν 2013. 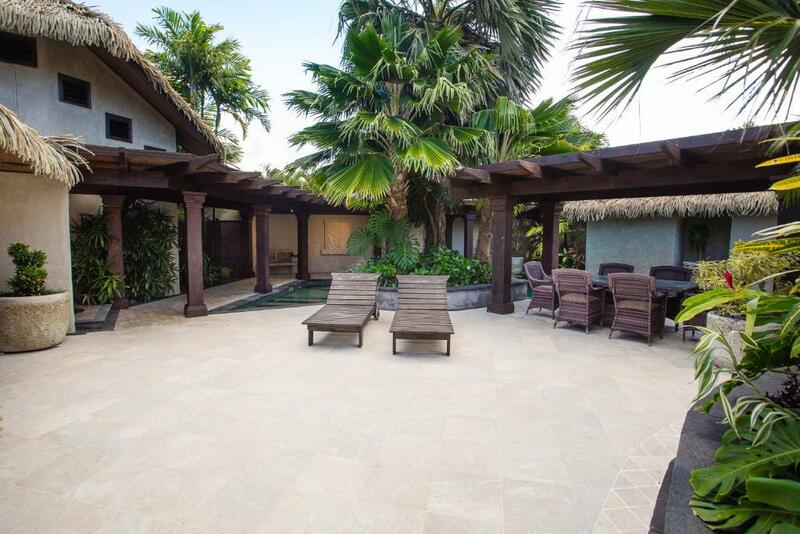 This open plan villa has a private courtyard, a fully equipped kitchen and a spacious en suite bathroom. 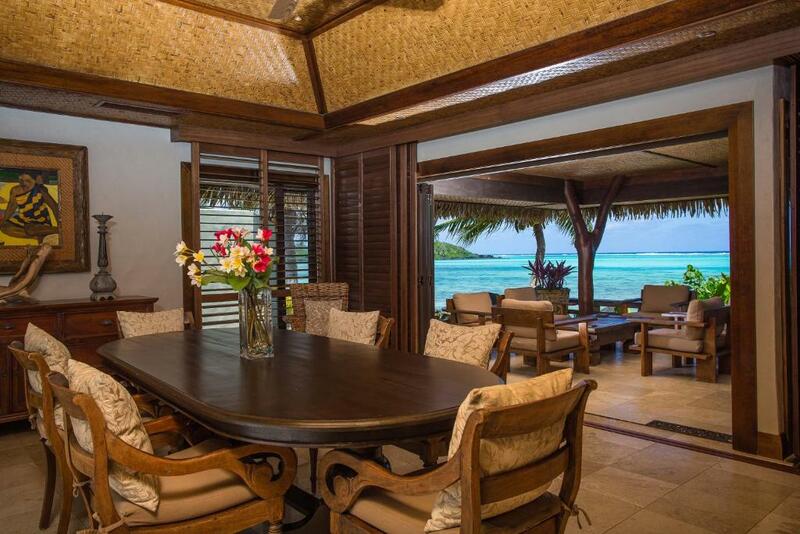 This beachfront villa offers uninterrupted views of the azure lagoon from your private patio and plunge pool. 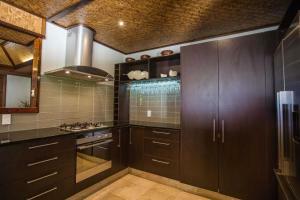 There is a gourmet kitchen and laundry facilities. 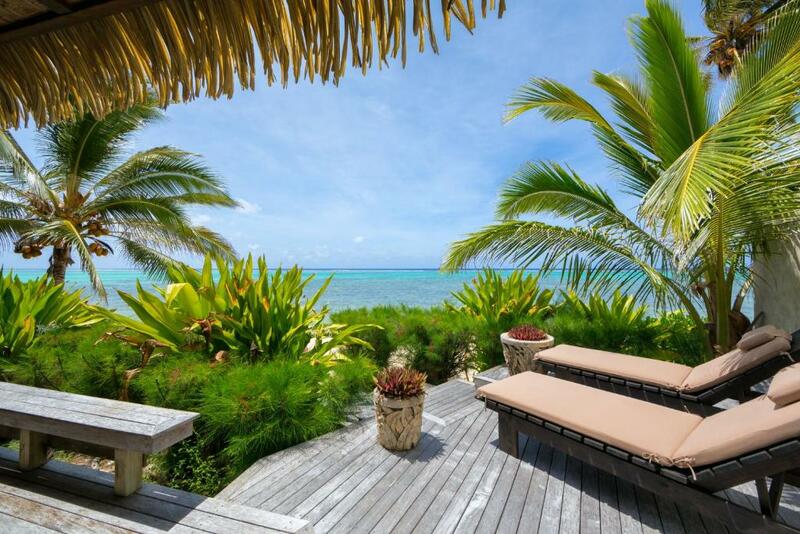 This beachfront villa has 1 bedroom and access to a courtyard and a plunge pool. This beachfront villa has 2 bedrooms separated by the courtyard and plunge pool. This spacious, stylish villa offers panoramic views of Muri lagoon from the patio and lawn. 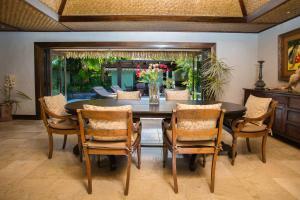 There are 3 bedrooms, a large living and dining area and a kitchen. The 2 bathrooms feature rain showers and there is a courtyard and a plunge pool. This 3-bedroom villa has 2 bathrooms and an open plan kitchen and lounge area. There is a private courtyard and a larger swimming pool. 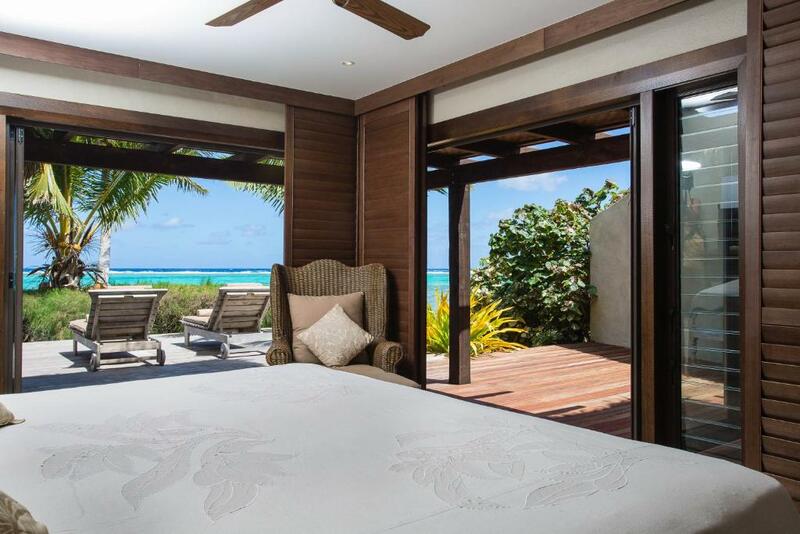 This contemporary 2-bedroom villa has 2 bathrooms, a fully equipped kitchen, laundry facilities, a private courtyard and a plunge pool. 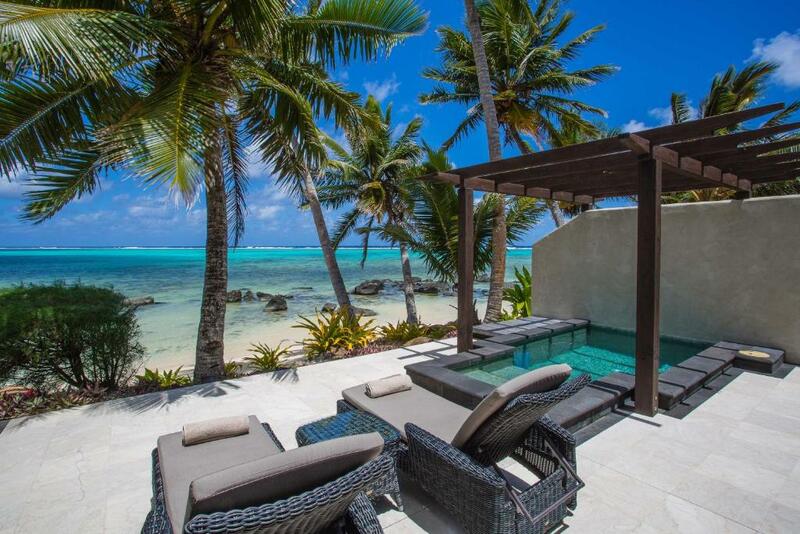 Te Manava Luxury Villas & Spa is designed for those who value independence and privacy while relaxing and enjoying luxury surrounds. Set on the white sands of Muri Beach and overlooking a beautiful crystal-clear lagoon, our 5-star villa complex is the perfect location for your island getaway. The contemporary and exquisitely decorated villas are available with one, two or three bedrooms, and are completely self-contained – perfect for families looking to spend quality time together, couples travelling together as a group, or couples on a romantic escape from the hectic pace of day-to-day life. With just 13 villas in this boutique complex, guests are able to enjoy peace and solitude as well the undivided attention of our gracious staff should they desire it. Διαβάστε πριν κάνετε κράτηση Το Te Manava Luxury Villas & Spa δέχεται ειδικά αιτήματα - προσθέστε τα στο επόμενο βήμα! Αυτές είναι οι κάρτες που δέχεται το Te Manava Luxury Villas &amp; Spa και διατηρεί το δικαίωμα να δεσμεύσει προσωρινά ένα ποσό πριν την άφιξή σας. Αυτές είναι οι κάρτες που δέχεται το Te Manava Luxury Villas & Spa και διατηρεί το δικαίωμα να δεσμεύσει προσωρινά ένα ποσό πριν την άφιξή σας. Please note that the check in desk is located at Pacific Resort Rarotonga. There is a free transfer to Te Manava Luxury Villas & Spa. Transfers to and from Rarotonga International Airport are available for 50 NZD per adult and 25 NZD per child under the age of 12, one way. Please inform Te Manava Luxury Villas & Spa in advance if you want to use this service, using the contact details found on the booking confirmation. Παρακαλείστε να ενημερώσετε το Te Manava Luxury Villas & Spa εκ των προτέρων σχετικά με την αναμενόμενη ώρα άφιξής σας. Μπορείτε να χρησιμοποιήσετε το πεδίο για Ειδικά Αιτήματα κατά την κράτηση, ή να επικοινωνήσετε απευθείας με το κατάλυμα, στα στοιχεία επικοινωνίας που αναγράφονται στην επιβεβαίωσή σας.